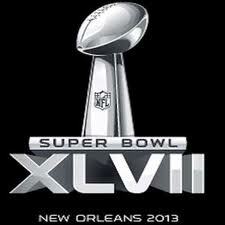 The 2013 Super Bowl has just finished with the Baltimore Ravens beating the San Francisco 49ers by a score of 34–31! Great Game! However, the Super Bowl has become more than just a football game! People are in love with the commercials. Watching Super Bowl advertisements has become a national past time in North America and for good reason. They will be some of the best of the year on TV and You Tube. At a 4 million dollar price tag per 30-second advertisement segment, the competition is fierce. 108 million Americans watched the game on Sunday! People will be talking about the commercials all week. Moreover, this topic will be common for 2 weeks and again at this same time next year! Let’s check out some of the Best Super Bowl Food Commercials of 2013! What did you think of the commercials? 11 Easy to Remember High Frequency Descriptive Adjectives for Casual and Natural Conversations! High Frequency Transferable Adjectives for describing commercials, movies, sports and more! Give it a try with a friend. Both the past simple and present simple can be used when talking about famous commercials. Try out all the ads and then switch roles. A: What did you think about the Oreo commercial? B: It was good. How about you? A: I thought it was boring. A: What did you think of the ___________ commercial? B: It was _________. How about you? A: I thought it was ________. A: What do you think of the Oreo commercial? B: It is good. How about you? A: I think it's boring. A: What do you think of the ___________commercial? B: It is _________. How about you? A: I think it's _________. Now, go to You Tube and select some Super Bowl Commercials for you and your friends to try out. Try using these adjectives all week in different situations. Enjoy!